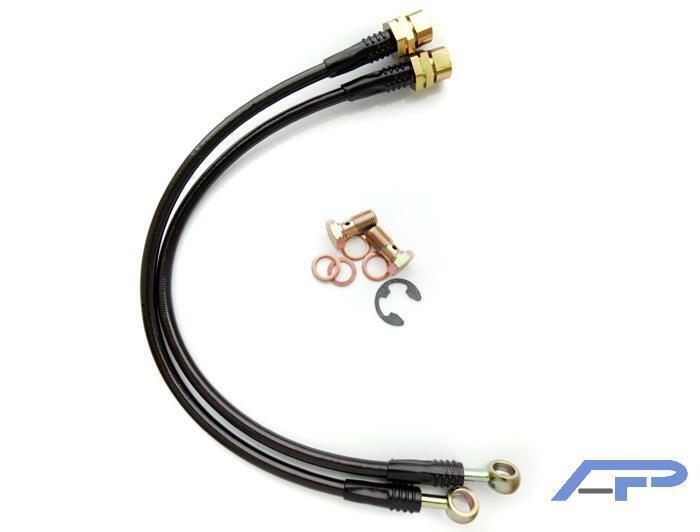 Agency Power now has a wide variety of steel braided brakelines for most high-end performance cars. The brakeline kits are made in the USA to meet strict D.O.T. certifications. The steel braided lines are a smoke color with the AP logo printed on it. The CNC machined fittings are in classic Agency Power Gold to separate you from the competition. All kits are assembled for a quick and easy install. Include fittings, hoses, and necessary hardware.